Our eyes are one of the most important features of our face and their ability to be the main focal point of the face can be diminishes because of wrinkles, eyebrow dropping, eyelash loss, cheek volume loss and fine lines. One of the most popular cosmetic treatment that can enhance the appearance of the eyes is the tear trough treatment. Most injectables could take a few days, even weeks, for the effect to be noticed. However, some treatments can provide instant results. Tear trough treatment is one example and the highly skilled professionals at Skin Hampshire perform it for those tired of looking ‘tired’. There is a natural depression that lines the curve of your eye socket, going from the nose to the underside of the eye. This is called as ‘tear trough’ as this is where your tears collect. As you get older, the skin loses its natural elasticity. Your face also lose volume from the mid and upper section as the facial fat starts to shrink and sag. Because of the sagging and shrinking of the delicate skin around the tear trough, it causes eye bags and dark shadows, which is hard to conceal with makeup. It makes your face look tired and old. But the texture of dermal filler used for tear trough treatment can improve the appearance of this area non-surgically, through the use of multiple injections administered above the orbital bone. Tear trough filler can give you an instant result as the dark shadows get ‘plumped out’ for a naturally renewed, rejuvenated face and a far more ‘awake’ look. Who are the Ideal Candidate for Tear Trough Treatment? 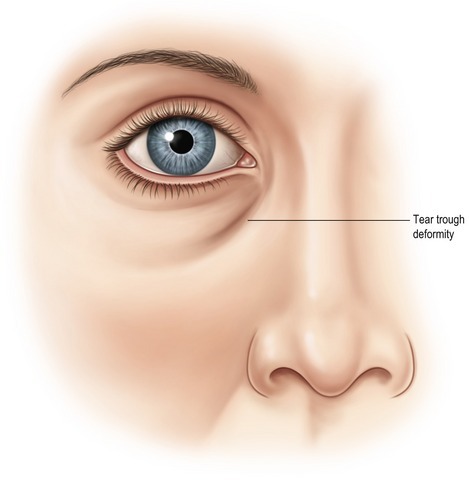 Though deep tear troughs usually appear in the 30s or 40s, there are patients as young as 20 who are to have early sign of aging. Ideal candidate is anyone who knows and understands the procedure, in general good health and has realistic expectations of the results. During the initial consultation, we will be able to determine if the treatment procedure is fitted for your situation. We will do a skin evaluation, a discussion of your desired results as well as a review of your medical history. If you decide to get a tear trough treatment, a personalize treatment plan will be developed. For the first four hours after the procedure, patient is advised to stay upright, to let the filler to settle. Any strenuous activity is not allowed within 24 hours. Cosmetics can be applied the following day. Take note that chemical peels, tanning or facials of any kind should be avoided within seven days after the procedure as the tissues are still highly sensitive. Patients can expect very slight redness and bruising at the injection site for the first few days after the injection. Cold treatment can be applied to reduce any swelling. The side effects are expected to dissipate after one week.